Striker Bolt duty boots absolutely must offer a clean finish, waterproof technology, a durable build, underfoot support, and slip resistance. 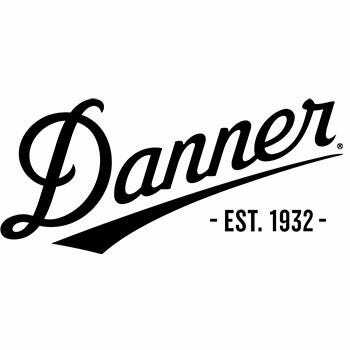 As such, these Danner Men's 8 Inch Black 26633 Striker Bolt Duty Boots from Working Person's Store offer each and every las ... (see full details) (see specifications) #26633. Striker Bolt duty boots absolutely must offer a clean finish, waterproof technology, a durable build, underfoot support, and slip resistance. As such, these Danner Men's 8 Inch Black 26633 Striker Bolt Duty Boots from Working Person's Store offer each and every last characteristic; they are built for duty use. They feature a PU coated upper that’s easy to polish and a nylon and leather upper that’s incredibly tough. Plus, they offer protection from wetness and slips, too, as well as supreme comfort. If you’re looking for durability, you’re in the right place. These men’s slip-resistant boots feature an upper made from leather and nylon. The leather and nylon upper found in these Danner duty boots offers unending hardiness. They are naturally great materials to withstand wear and tear, so when they are combined they offer double the durability. Plus, the upper is coated in polyurethane, which adds to its strength and helps keep them clean. You can also easily polish the upper to keep them looking neat and tidy. The black boots also feature a lace garage on the upper and a Vibram Striker Bolt outsole that offers toughness. The outsole built on these leather and nylon boots is also slip-resistant. The sole provides maximum surface contact while gripping on and off the pavement in order to prevent slips and falls. Aside from protecting you, the outsole also provides functionality in the form of efficient, purposeful steps. Speaking of functionality, these men's polyurethane-coated boots offer it in the form of protection from wetness. The 8-inch black boots are completely waterproof because they're made with GORE-TEX technology. It protects your feet from wetness because it offers a breathable waterproof lining. The lining allows air to pass through it while wetness cannot. Your feet will appreciate the airflow because it will keep them dry, cool, and comfy. These men's Danner boots offer comfort in another form, too: underfoot support. They feature a cushioning polyurethane footbed, which offers support and comfort with each step. The black boots also have a TERRA FORCE NEXT platform to provide arch support, torsion control, and shock absorption. The TERRA FORCE NEXT platform works by combining both an internal and an external shank to create a unique system of support. And as a final measure in comfort, a Vibram SPE midsole is included. It brings lightweight comfort to the mix. For all of your duty boot needs, get these Danner Men's 8 Inch Black 26633 Striker Bolt Duty Boots here at Working Person’s Store today. Danner Boots: Men's 8 Inch Black 26633 Striker Bolt Duty Boots is being added to your cart.